This is maybe one of the hardest periods of the year stylewise with winter and summer weather exchanging like crazy. We're making everyday's dress up routine easy with out April Showers #Homme. 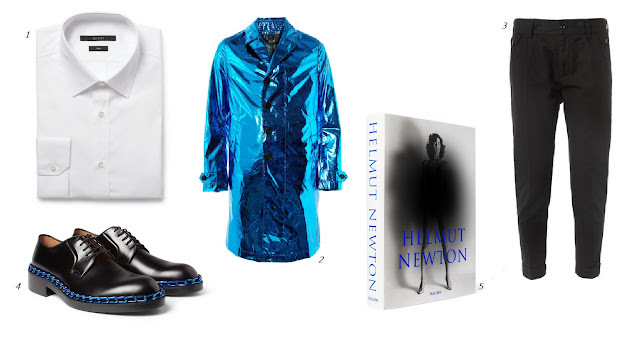 A cotton shirt, light enough to keep you cool and hot enough to keep you warm, a raincoat just in case and your very own copy of Helmut Newton.Sumo.